April 2nd is a national holiday as it is Veterans Day and commemorates the fallen Malvinas soldiers. The long weekend will be full of activities detailed below. Throughout the weekend three city parks will be displaying unique contemporary dance performances for the Ciudanza festival, which seeks to fuse dance with urban landscapes. More information here. Training and classification rounds of the TC2000 car race will be held on Saturday from 10 am-6.30pm. The racing circuit, on the streets of Buenos Aires, will be on Avenida 9 de Julio between Viamonte and Av. De Mayo, Diagonal Norte and Av. De Mayo and between Bolivar and Av. 9 de Julio. The MALBA is featuring two new exhibits well worth visiting. Bye Bye American Pie explores the cultural transformation of the United States through the pieces of seven renowned American contemporary artists; Jean-Michel Basquiat, Larry Clark, Nan Goldin, Jenny Holzer, Barbara Kruger, Cady Nolan and Paul Mc Carthy. Brailles y relecturas de la Biblia, is an important exhibit on Leon Ferrari, an Argentine artist who, like his American counterparts, also explores themes relating to cultural and political dominance. Open midday-8pm. Avenida Figueroa Alcorta 3415 , Recoleta. 4808-6500. The Japanese Gardens in Palermo will be showcasing over 200 orchid species at their 32nd Orchid exhibit “Otoño con Orquideas.” Av. Figueroa Alcorta and Av. Casares, Palermo. Dialogo en la Oscuridad is an international exhibit where the senses are rediscovered. The public is guided in absolute darkness through different scenarios and learns to perceive every day life in a different way. Open from 5pm-10pm. Sarmiento 3131, Abasto. 4864 3200. At 9pm The Centro Cultural Recoleta is staging Hombre Vertiente, an experimental performance including acrobatics, special lighting and interaction with the public, directed by Pichón Baldinu, one of the De La Guarda founders. Junin 1930, Recoleta. The electro-tango Tanghetto will be presenting a live show at the ND Ateneo at 9pm. Tickets here. 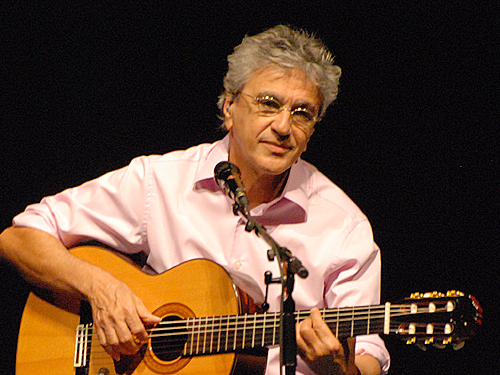 Argentine guitar virtuoso Luis Salinas will be staging a show at La Trastienda starting at 11.30pm. Tickets here. Reputed percussion orchestra La Bomba del Tiempo will be filling the night with rhythm from midnight onwards at a party held at the Centro Cultural Konex. Ciudad Cultural Konex- Sarmiento 3131, Abasto- 4864-3200. American indie-rock band Cage the Elephant will be presenting “Thank You, Happy Birthday” at La Trastienda at 9pm. Tickets here. Niceto Club will be hosting a new edition of their Undertones party at 12.20pm. Niceto Vega 5510, Palermo. As usual reputed percussion orchestra La Bomba del Tiempo will be setting the beat at the Centro Cultural Konex. Ciudad Cultural Konex- Sarmiento 3131, Abasto- 4864-3200. A tango peña will be held at La Peña del Colorado at 8.30pm. 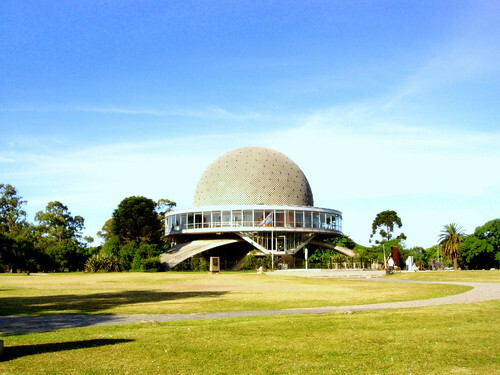 This Palermo centered Peña serves traditional food and stages live shows by an array of performers as well as hosting folklore dances for the community. From midnight onwards they also encourage the diners to play spontaneous guitar music. (They offer the guitars). Güemes 3657, Palermo. 4822-1038. info@lapeniadelcolorado.com. The MALBA museum of Latin American Art inaugurates today a much awaited exhibit on American Contemporary Art. Named after Don McLean’s song American Pie, about the loss of innocence of the 60`s generation, the exhibit explores the cultural transformation of the United States through the pieces of seven renowned American contemporary artists; Jean-Michel Basquiat, Larry Clark, Nan Goldin, Jenny Holzer, Barbara Kruger, Cady Nolan and Paul Mc Carthy. More than a hundred pieces including photographs, installations and paintings from public and private collections will be showcased, kicking off the museum’s 2012 exhibit calendar. Parallel to Bye Bye American Pie, the museum will also be inaugurating Brailles y relecturas de la Biblia, an important exhibit on Leon Ferrari, an Argentine artist who, like his American counterparts, also explores themes relating to cultural and political dominance. Both exhibits will be open to the public from the 30th of March to June-July. Other collections being displayed at the MALBA include their new acquisitions exhibit, and their permanent Latin American Art from 1945-1990 showcase. However, many of the most relevant pieces of the permanent collection will not be available to the public as they will be displayed in the Houston Museum of Fine Arts until October. The MALBA also has a monthly program of historic, arthouse and independent films that are screened from Thursday to Sunday. Find their program here. 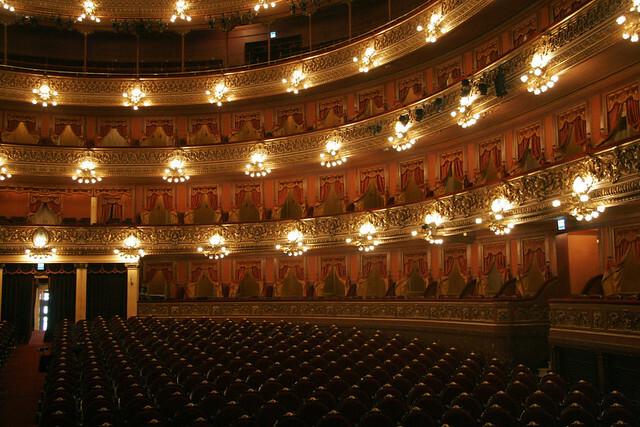 The Colón Theatre is one of the city`s most popular attractions. It is internationally known for its beautiful architecture and impeccable acoustics. Touring the Opera House is one option, but the best way to experience its virtues, is by attending one of the Operas, ballets or concerts that are staged throughout the year. Ticket prices are varied and can range from 30 pesos (approx. 7 USD) standing at the back of the theatre, to approximately 490 pesos ( approx. 100 USD) for front row seating at a ballet and up to 950 pesos (approx. 200USD) for front row seating at the opera. Keep in mind that concerts are cheaper than ballets and operas, and that on some Sunday mornings, concerts are staged for free. -La Forza del Destino-Music by Giuseppe Verdi. Libretto by Francesco Maria Piave (1869 revised version.) This four act opera, based on the play ¨Don Alvaro o la Fuerza del Sino” by Angel de Saveedra Duque de Rivas, will be staged on the 22nd, 24th, 26th and 28th of April. Carmen: Music by Georges Bizet, Isaac Albeniz, Joaquin Turina with arrangements by Luis Gorelik, Colón orchestra director. Choreography by Mauricio Wainrot. 1st, 3rd, 4th, 7th and 8th of April. -Angela Gheorghiu and Roberto Alagna with the Colón Theatre Orchestra. 11th of April at 8.30pm. -Grandezas de espíritu (Grandeur of Spirit)- Director: Enrique Arturo Diemecke, Piano Soloist: Haochen Zhang. Featuring: Tangazzo by Astor Piazzolla, Piano Concerto 2 in G Minor, Op. 16 by Sergei Prokofiev and Symphony Nº 4 in E Minor, Op. 98 by Johannes Brahms. 12th of April at 8.30pm. -Sunday 15th of April- Free concert at 11am featuring Camerata Bariloche performing Vivaldi, Haydn, and Dvoràk. -La Forza del Destino-Music by Giuseppe Verdi. Libretto by Francesco Maria Piave (1869 revised version.) This four act opera based on the play ¨Don Alvaro o la Fuerza del Sino” by Angel de Saveedra Duque de Rivas will be staged on the 2nd and 4th of May. – Oedipe- Music by George Enescu. Libretto by Edmond Fleg. (1936) The four act Opera is based on Oedipus Rex by Sophocles and features Ira Levin as the director and Alex Ollé from La Fura dels Baus for concept and staging. 29th of May. -De la Aldea al mundo (From the Village to the World)- Director: Günter Neuhold, Piano Soloist: Saleem Abboud Ashkar. -Featuring: Segunda Obertura de Concierto, Op.18 by Alberto Williams, Piano Concerto in A Minor, Op. 54 by Robert Schumann, and La Vida Breve, interlude and dance, and El Sombrero de Tres Picos, Suites 1 and 2, by Manuel de Falla. 3rd of May at 8.30pm. -Bach Akademie Stuttgart and Helmuth Rilling present Johann Sebastian Bach: Mass in B minor. 8th of May at 8.30pm. -Free concert by string quartet Cuarteto Argentum on Sunday the 13th of May at 11am. -Voces celestiales (Celestial Voices)- Director: Enrique Arturo Diemecke, Mezzosoprano soloist: Frederica von Stade. Featuring a selection of works by Mahler, Canteloube, and Offenbach. 17th of May at 8.30pm. -Free concert –Homenaje a George Enescu- on Sunday the 20th of May at 11am. -Chinese pianist Lang Lang presents Johann Sebastian Bach´s: Partita No.1 in E-flat major, Franz Schubert´s Sonata in B-flat major, D. 960 and Frederic Chopin´s twelve studios, Op. 25. 26th of May at 8.30pm. -Destinos irrepetibles (Unrepeatable Destinies) Director: Guillermo Scarabino, Violoncello Soloist: Leonard Elschenbroich. Featuring: El Tarco en Flor by Luis Gianneo, Violloncello concert in B minor, Op. 104 by Antonin Dvorak, and Symphony Nº 4 in F minor, Op. 36 by Piotr Ilich Tchaikovsky. 31st of May at 8.30pm. -Oedipe- Music by George Enescu. Libretto by Edmond Fleg. (1936) The four act Opera is based on Oedipus Rex by Sophocles and features Ira Levin as the director and Alex Ollé from La Fura dels Baus for concept and staging. 1st, 3rd and 5th of June. -Rinaldo- Music by Georg Friedrich Händel, Libretto by Giacomo Rossi. (1711) 12th, 15th, 17th and 19th of June. -Sueños y sonidos (Dreams and Sounds)- Director: Isaac Karabtchevsky, Violin Soloist: Akiko Suwanai. Featuring: “El Guaraní” overture by Antonio Carlos Gomes, Violin Concerto “L´Arbre des Songes” by Henri Dutilleux, and Symphony Nº 6 in D major, Op.60. by Antonin Dvorak. 7th of June at 8.30pm. -Russian Pianist Evgueni Kissin presents Franz Schubert´s Sonata in E-flat major, D. 568, Ludwig van Beethoven´s 32 Variations in C minor, WoO 80 (1806), Johannes Brahms: Six Pieces for Piano, Op. 118 and Frederic Chopin´s Andante spianato et grande polonaise brillante, Op. 22. 8th of June at 8.30pm. -Free concert by Capilla del Sola and Museo Isaac Fernandez Blanco`s resident ensemble featuring anonymous Baroque and classic Jesuit composers. Sunday 10th of June at 11am. -Free concert by Violoncellos Argentinos. The repertoire includes music by Max Bruch, Bela Bartok, Sibelius, Julian Plaza and Piazzolla. Sunday 24th of June at 11am. In the evening Japanese flute and drum artists, Kaoru Watanabe & Shinzui Daiko, will be playing a special concert at the Teatro del Globo downtown starting 9pm. Marcelo T. de Alvear 1155, Downtown. Tickets available at the Japanese Gardens in Palermo. Pablo Siquier is an Argentine artist known for his impressive murals and installations. Throughout March a special exhibit held at the Centro Cultural Recoleta will be displaying some of his more experimental work from the eighties and nineties. Junín 1930, Recoleta. 4803 1040. Open: Mon-Fri 2pm-9pm, Sat-Sun 10am-9pm. 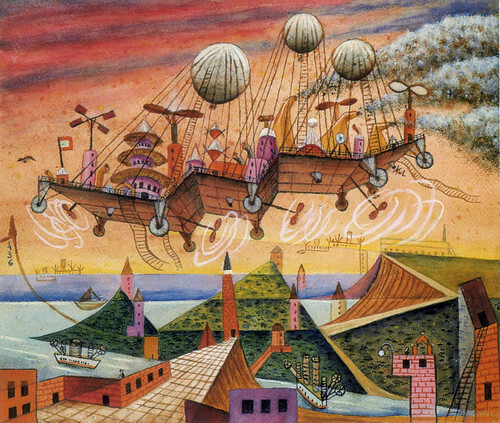 Head to the intimate Xul Solar art museum where you will find artists Xul Solar´s colorful metaphysical dreamlike paintings, and also some of his nutty but brilliant inventions, such as a new global language, and the Panjuego, a game which he made up and played with many of his friends including Borges whose books he sometimes illustrated. 4824-3302.Monday to Friday from midday- 8pm.Saturday from midday to 7pm. Laprida 1212, Palermo. Also in Palermo is Fueguia, a scent lab where you can sniff out nature, or aromatic blends reminiscent of writers such as Borges. Cabello 3791, 2 J, Palermo. 4806-5619. The San Telmo Art Walk is offered by JuaneleAR from Tuesday to Friday at 3pm and guides you through the who is who and what is what of the neighborhood`s art-ridden streets. The three-hour walk includes a tour of both the street art and galleries; a great way to get to know the current Buenos Aires art scene whilst getting to know the charm of San Telmo neighborhood. More information here. Don´t miss the new MALBA exhibit, Bye Bye American Pie, which showcases some of the most influential works in contemporary art by artists such as Basquiat and Nan Goldin amongst others. Avenida Figueroa Alcorta 3415, Recoleta. In the evening, head to the Barrancas de Belgrano parks to see how dance interacts with urban landscapes at the Ciudanza festival, starting at 8pm. On Saturday don´t miss the Orchid exhibit at the Japanese Gardens in Palermo. On Sunday, the TC2000, will allow for the city to witness some unique car racing at the obelisco, downtown. 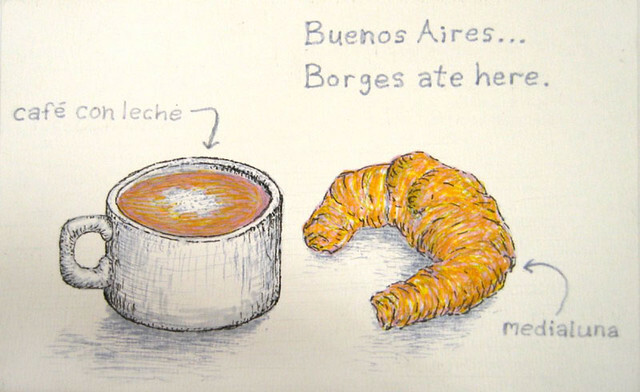 Anyone who has spent at least a day in Buenos Aires has probably come across the medialuna, a pastry commonly known around the world as a croissant, with its own local flair of course. This starchy staple is as important for Porteños as bagels seem to be for New Yorkers, and are the pillar of many a café breakfast or afternoon snack. There are two types of medialunas; de grasa (made from lard) are thinner and crunchier, and de manteca (made from butter) are fluffy and soft. Bakeries also sell facturas, which are sisters to the medialunas and traditionally feature dulce de leche, confectioner´s cream and quince jam fillings. While you’re in the city, stopping at one of the traditional city cafés is a must and a coffee with medialunas, mandatory. 1- Place ¾ cup of pastry flour on a counter or table you can knead comfortably on. Work in the butter until the flour is absorbed. 2- Mold the flour and butter mixture into a stick of butter, wrap it in a bag or cling-wrap and place it in the refrigerator. 3- Warm up the milk and 1 tsp. of sugar until it`s lukewarm and mix in the yeast. 4- Make a mound with the remaining flour on counter or tabletop you´re working on. Mark a hole in the center and in it place the salt, remaining sugar, egg and honey. Knead very well. 5- Add the milk and yeast mixture and continue kneading. The dough should be soft and sticky. 6- Knead and bang the dough on the counter until it is very smooth. 7- Place the dough in a bowl and cover it for approximately an hour (the dough should double). Keep in mind that yeast needs a relatively warm environment to rise so in winter make sure to have the heating in the kitchen on. 8- Once the dough has risen take out the butter/flour from the refrigerator and roll it out into a thin rectangle. 9- Roll out the dough until is thin and place the butter rectangle in the center, on top of the dough rectangle. 10- Fold the rectangles until the dough covers the butter. Refrigerate for an hour. Fold again and refrigerate for another hour. 11- Roll out the dough until it is approximately a 0.5 inches thick. Cut into triangles and chill for 20 minutes. 12- Roll the triangles from the base to the tip. Place on buttered baking trays and allow to rise until they double their size. 13- Whip an egg yolk with some milk and paint onto the medialunas. 14- Bake for approximately 15 minutes at 410 ° F.
As autumn creeps up, the city resumes many of its activities after a summer of fun. Schools and universities kick-off the academic year, theatres and museums renew their programs and exhibits, football season picks up and some of the city’s main events, such as the Independent Film Festival (BAFICI), the Quilmes Rock Festival and the monthly Gallery Nights, liven it up. 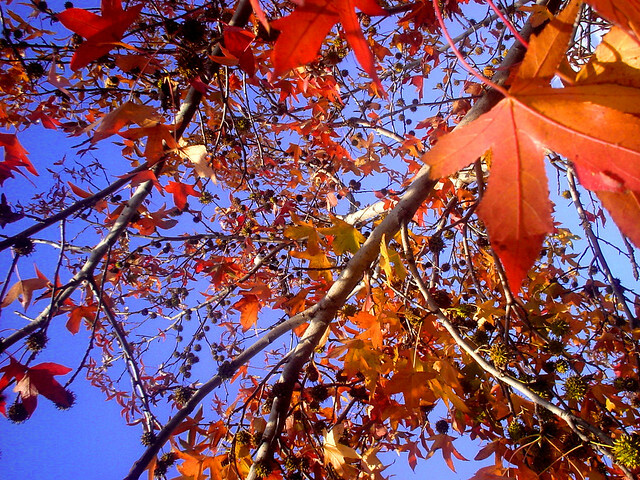 During autumn, the weather is mild, ranging between 10-20°C (50-68°F). Many consider this to be one of the best seasons to visit the city and rightly so; it is less rainy than Summer, the weather is perfect for asados and sailing, there are many cultural activities going on and the cooler afternoons are perfect for hot chocolate with churros at some of the city’s charming traditional bars. Ciudanza: 29th March-1st April: Ciudanza combines contemporary dance with urban settings bringing this expressive art form out of the theatre and into the streets for everyone to admire. This year the event will take place in the Barrancas de Belgrano Park, in Parque Lezama in San Telmo and in Parque Chacabuco. More information here. Quilmes Rock Festival: 3rd-4th and 7th April: This annual rock festival brings both local and international acts to the stage. This year the international line up includes Foo Fighters, Arctic Monkey and MGMT, amongst others. Big time local names such as Charly Garcia and Fito Paez will be staging shows on the 7th. Tickets here. BAFICI: 11th-22nd April – The BAFICI film festival, held in various cinemas in Buenos Aires offers a wide range of independent local and international films. 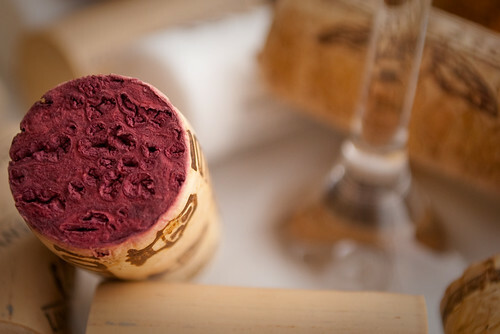 The full program for 2012 is not yet up but we will keep you posted. Gallery Nights: Once a month from April-December the city’s art galleries open to the public during the night and welcome an enthusiastic crowd of art lovers.